Bonnie Rose Wiseman Montgomery was born in St. Louis, Missouri March 11, 1942 to Kenny Bonner and Lesta Howard (nee Basden) Wiseman. The family moved back to Sherman, Mississippi before she and her brother Teddy started school. Bonnie accepted Jesus as her Savior when she was 11 years old. She loved to play basketball and graduated as valedictorian from Sherman High School. She then received a bachelor's degree in biology and chemistry from Mississippi State College for Women (MSCW). Later she earned a Master's degree and pursued a Ph.D. in immunology through Wayne State University. At different times through the years, she conducted cancer research and enjoyed teaching high school and college level science. Bonnie moved around the country with her husband's work and growing family. She loved to learn and teach others. Genealogy was a favorite hobby which took her and Angela on many fun trips. 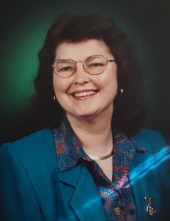 She dearly loved her children Angela and Leslie (Dan), seven grandchildren, and many extended family members and friends. She loved to travel and visited almost all of the 50 states, Australia, Venezuela, and Europe. Bonnie enjoyed being a member of Grace Baptist Church, Birmingham, Michigan. Visitation will be Wednesday, April 10th 2019 from 9:00 to 11:00 AM. Funeral service will follow at 11:00 AM at Grace Baptist Church 280 E Lincoln St, Birmingham, Michigan. "Email Address" would like to share the life celebration of Bonnie Rose Wiseman Montgomery. Click on the "link" to go to share a favorite memory or leave a condolence message for the family.